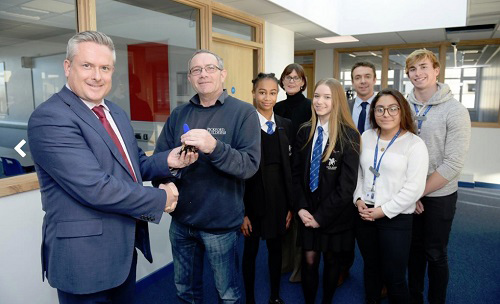 Pickford Builders recently completed a £1.8m rebuild scheme after a fire caused extensive damage at Cecil Jones Academy in Southend-on-Sea, Essex. The works consisted of the reinstatement of the roof and first floor, new cladding and brickwork following extensive fire damage; as well as the provision of 18 new classrooms; 2 new offices; the refurbishment of 7 existing rooms; complete new M&E system throughout and new door entry and camera security system. Our site manager, Andy Nunn and the team have completed the project on time and to a good standard.